Are you looking to enhance the customer experience to create family destinations? Are you looking for ways to drive extra footfall to your centre, in turn benefiting your retail tenants? Perhaps you’re looking for an eye-catching way to boost awareness of a new store opening or product launch? 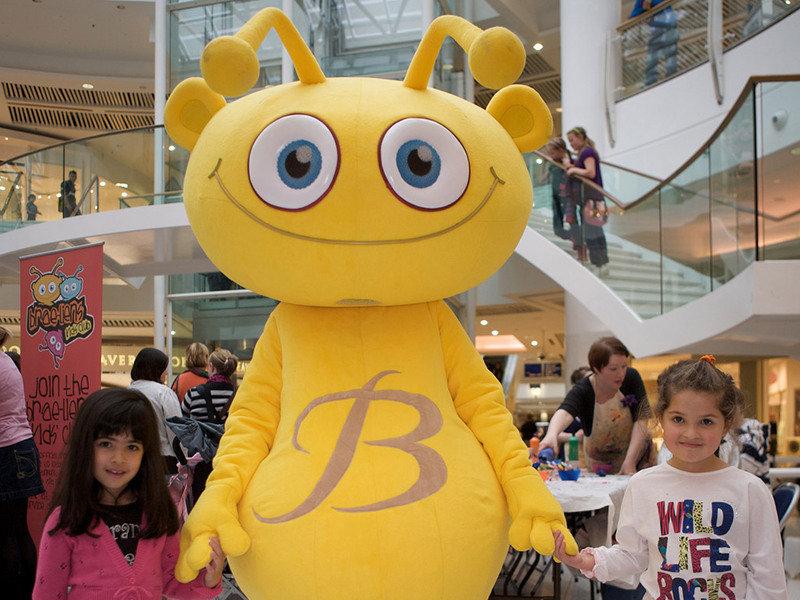 Here at Rainbow Productions we work with shopping malls, independent retailers, multiples and agencies – as well as IP owners – to deliver licensed character appearances and mini shows. 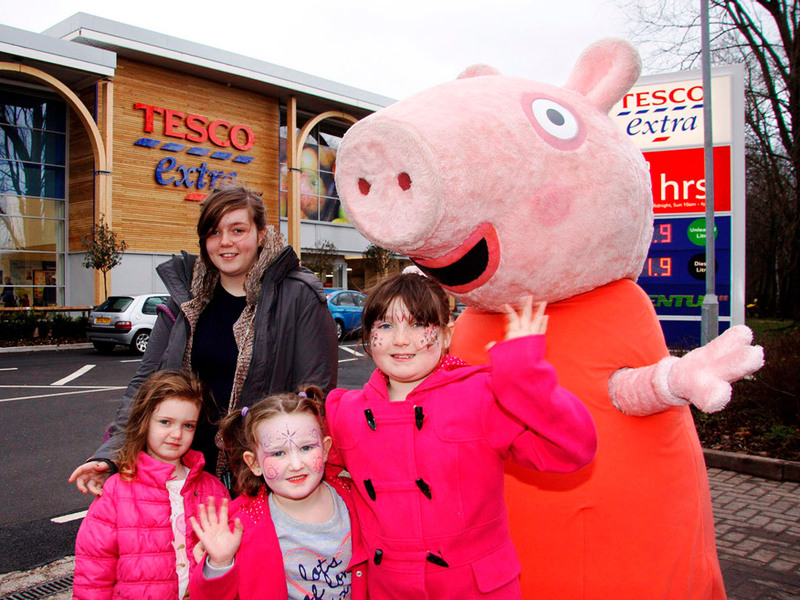 We also work in partnership with IP owners to create and deliver retail support activations. Please contact us to find out how licensed character tours and experiential activities can support your offering. WHY CHOOSE A LICENSED CHARACTER APPEARANCE FOR YOUR CENTRE OR STORE? Whether you’re launching a new store, or want to give customers an additional reason to visit and stay longer at your shopping centre during the school holidays, character appearances can help boost your footfall, attract new customers and boost your store or centre’s perception. 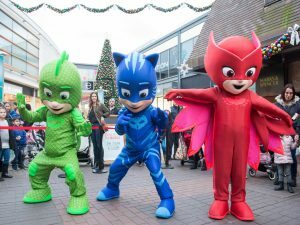 Choose from over 100 official licensed characters for appearances in the UK, including classic through to current popular characters from children’s TV programs. Benefit from the experience of our trained performers and Road Managers in engaging with children and families in a live environment. 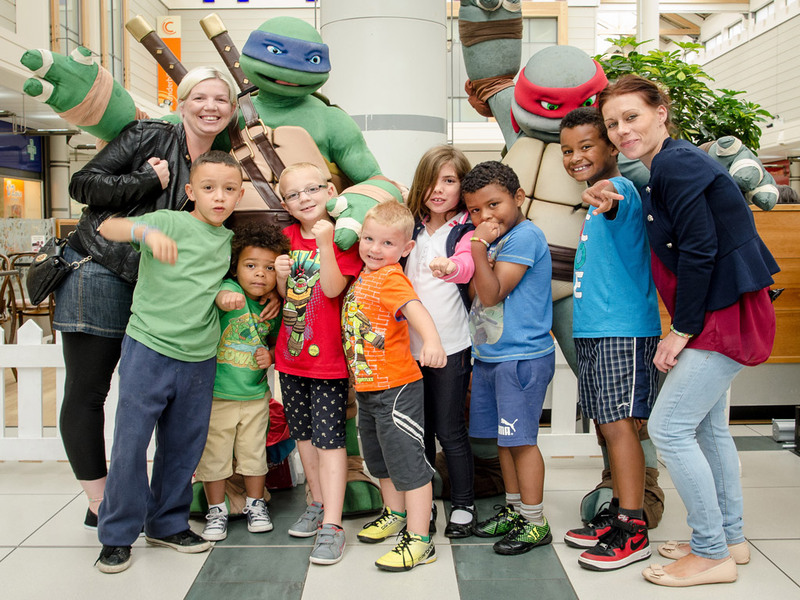 With contacts at venues across the UK, we work with partners to generate Character Tours and experiential activities at stores and shopping centres across the UK, helping to create a point of difference and added consumer engagement. 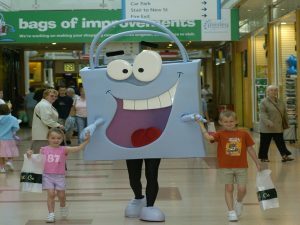 Additionally, if you want to personalise your store or shopping centre’s brand, we can help you create a custom mascot. We’ve worked with brands like Thornton’s, Upper Crust and SPAR to create bespoke mascots, which have increased brand awareness and footfall. 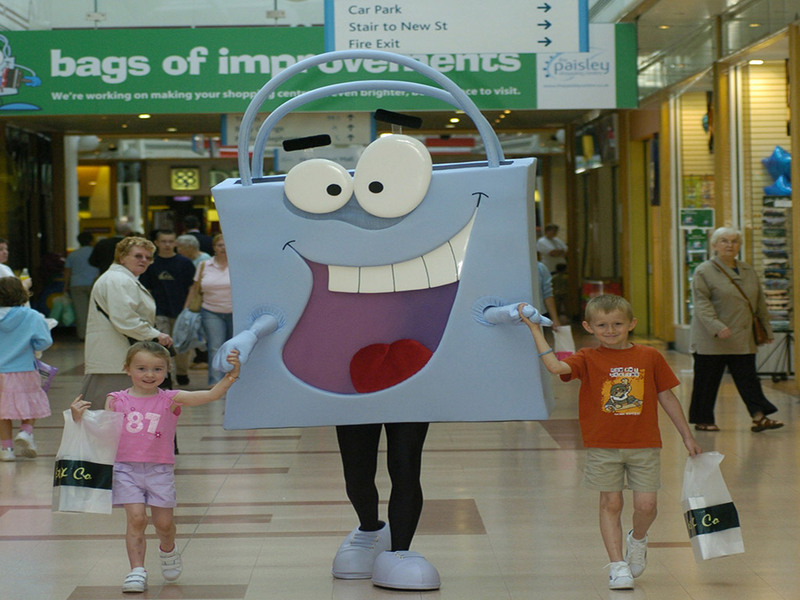 We can also help your store or shopping centre make the most of consumer and trade marketing opportunities, by increasing brand presence at events with an eye-catching branded character. We can assist in the creative design process to produce a mascot from scratch, or we can bring a pre-existing icon or design to life. We’re happy to share our experience about character design, branding opportunities and fabric selections, in order to create a successful personification of your shopping destination or store. We offer a full service, with the ability to work with you on the design process, right through to mascot manufacturing. 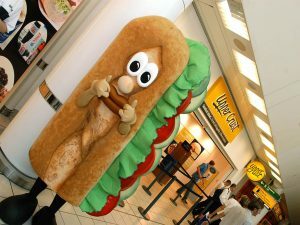 We are also able to teach staff how to communicate and perform in your new mascot costume with our training workshops that we offer. 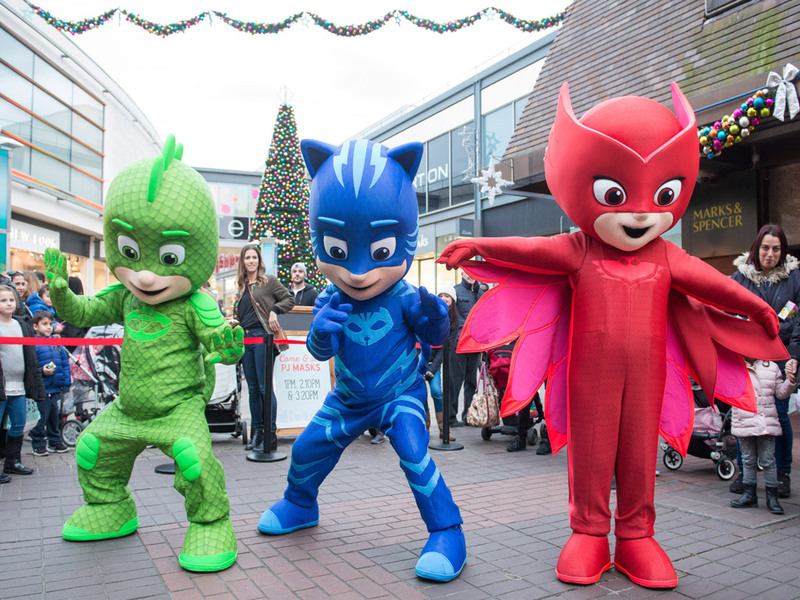 Over the years we’ve worked with a broad range of retail companies, destinations, and stores, and we’ve had the pleasure of seeing our characters and mascots make appearances at numerous experiential, promotional events. 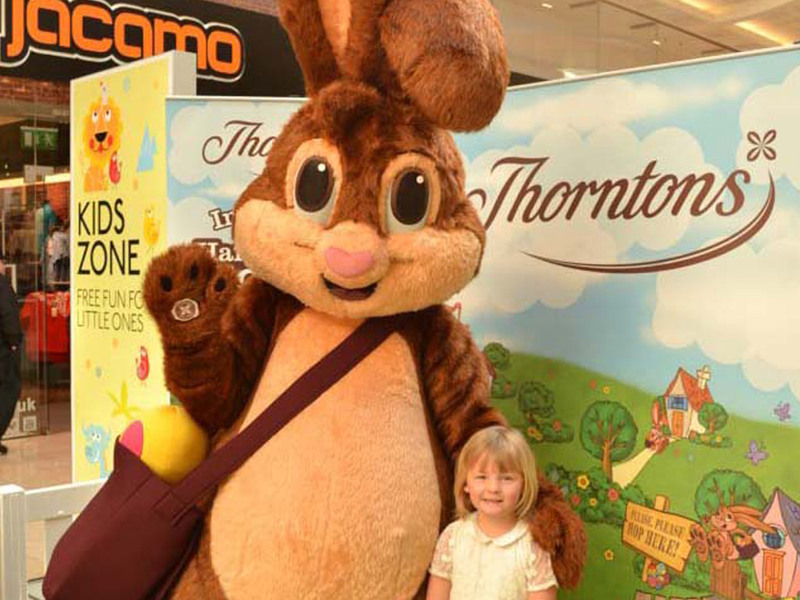 Take a look through our gallery of characters and mascots during some of their adventures. 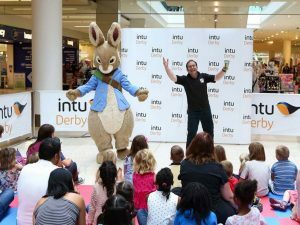 Images of our characters performing at character appearances and mini shows can be seen on Pinterest here. And more images of our custom-made mascots can also be seen on our Shopping Centre Brand Mascots and Retail Brand Mascots Pinterest board.